There are currently no scheduled performances of Les Enfants Terribles. It was last on stage 27–29 January 2017 as part of the Autumn 2016/17 season. Siblings Paul and Lise, isolated together as children, begin a game. As they grow up, the real world intrudes on their childish fantasies. Paul falls in love with Lise’s friend Agathe. Lise jealously tricks Agathe into marrying their friend Gérard. Paul tries to poison himself, and the truth about Lise’s plot comes out. Lise shoots herself. 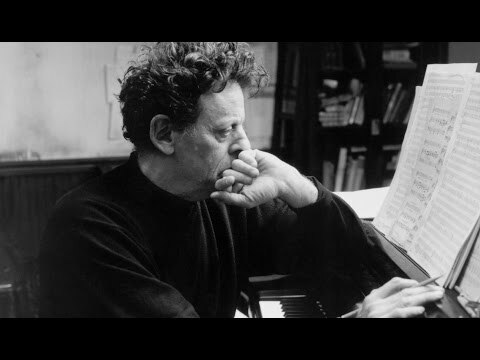 Les Enfants Terribles is the third in Philip Glass’s trilogy of works inspired by the writings of Jean Cocteau. In the first parts, Orphée and La Belle et la bête, Glass experimented with film and music – but for Les Enfants Terribles Glass ‘envisioned something different… singers and dancers would share centre stage’. This new production of Glass’s 1996 dance opera, part of the global festivities celebrating Glass’s 80th birthday, is choreographed and directed by the acclaimed choreographer Javier De Frutos – who himself has often found inspiration in Cocteau. For Glass, Les Enfants Terribles is Cocteau’s ‘tragedy… it articulates Cocteau’s belief in the power of imagination to transform the ordinary world into a world of magic’. Thus a snowball becomes a ball of poison and a childish game a fierce struggle to the death. Principals of The Royal Ballet and leading lights of the classical and contemporary dance scene join celebrated singers, including members of the Jette Parker Young Artists Programme, to tell their versions of a world that has come unhooked from reality. 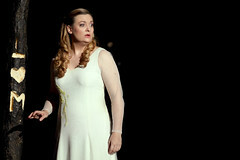 Tickets are available from the Royal Opera House as well as from the Barbican. A limited number of discounts are available from the Barbican, please visit their website via this link for details, or call the Barbican Box Office on 020 7638 8891 (10am-8pm Mon-Sat, 11am-8pm Sun). The production contains adult themes. Visitors with access requirements who have joined the Barbican's Access Membership scheme may be eligible for reductions on tickets. To find out more, please visit their information page via this link. To book tickets suitable for wheelchair users please call the Barbican Box Office on on 020 7638 8891 (10am-8pm Mon-Sat, 11am-8pm Sun). The performance lasts about 2 hours, including an interval. Sung in French with English surtitles, and narrated in English.